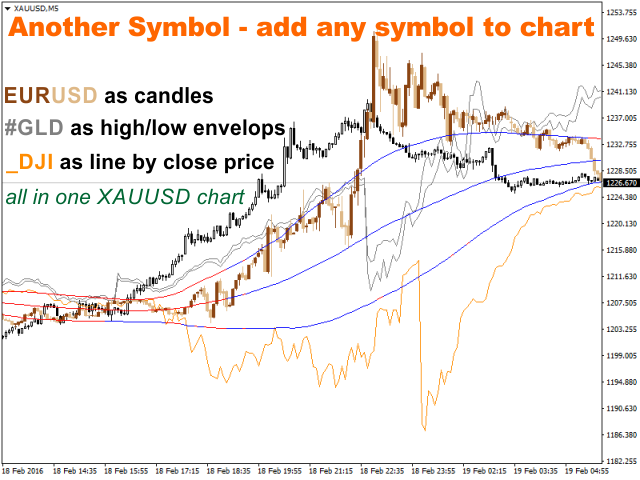 AnotherSymbol displays the relative movement of another symbol on the current chart as candlesticks, High/Low or Close lines. The plotted chart is aligned to the selected Moving Average and scaled by the standard deviation. When sing this data representation the trader should focus not on the absolute values, but on the behavior of the price relative to the Bollinger bands. Another Symbol provides additional opportunities in the pair strategies and cross rates trading. mirror - mirror display. Useful if the instruments are anticorrelated. scale lines - draw scale lines (Bollinger bands). The lines will be painted according to the increase/decrease of the similar SYMBOL line. 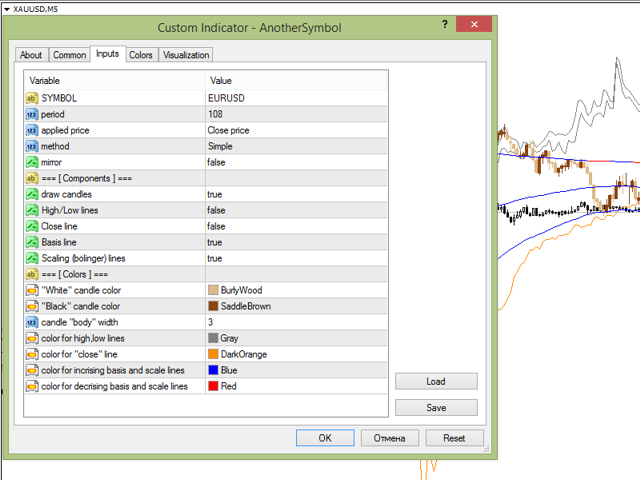 Other parameters allows you to set the color scheme of the indicator.